Pontevedra was a stop and a walk around town. The town is famous for its bridges, but I don't remember noticing them, nor did I take any photos. 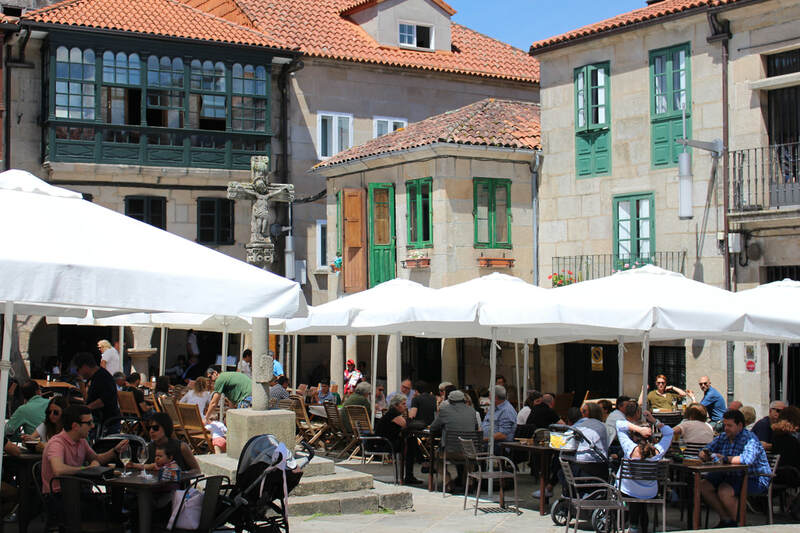 Pontevedra was one of those places in Portugal that I vaguely remember. Someone must have mentioned that this round church was old and important. I think mostly because it was round. And notice the river pattern in the walkway in front of the church. 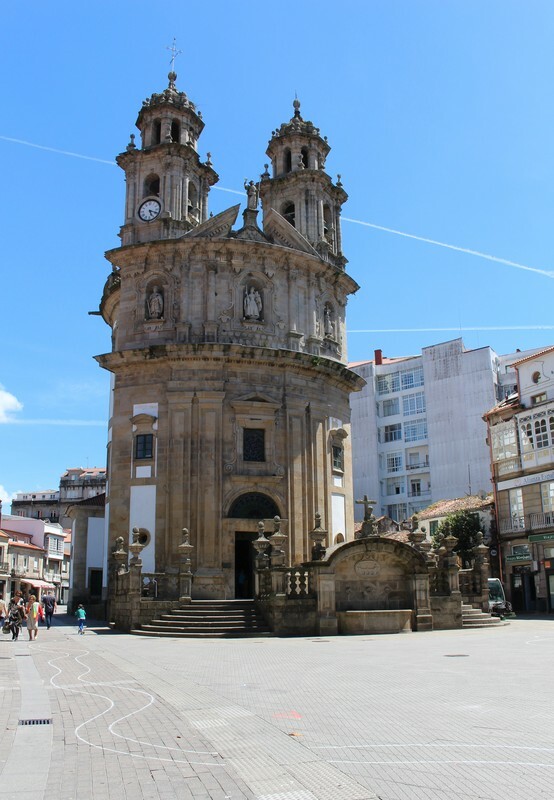 So I just read in Wikipedia that this is called the Pilgram's Chapel, and is on the Way of St James--to Santiago. ​Also, get this, Christopher Columbus's ship the Santa Maria was built in Pontevedra! ​Current unemployment in Portugal is slightly over 20%, and for 18-27 year olds it is 54%! It's funny. I didn't know where I was until I got home and looked it up! ​I was just walking all around this town. It was safe and quiet. It wasn't like Italy where I kept getting lost! And it was lunch time, so about 2 in the afternoon. There was music that just started spontaneously, and I found some other tour folks and sat down at their table--perfectly OK, in fact probably anti-social by Portuguese ad Spanish custom not to-- and we had a table full of Tapas. So good!